For Mac OS X and Windows, Get it NOW!! Drag and drop images to automatically create a spread and take full control to personalize the design. 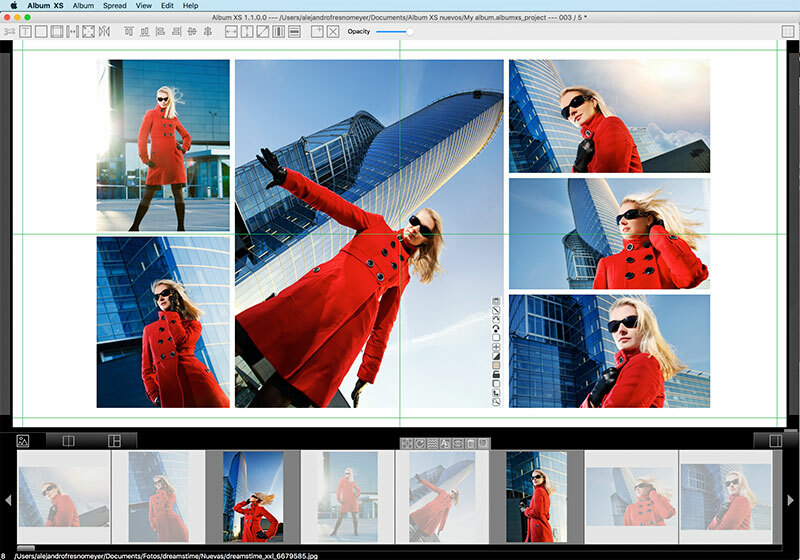 Design all spreads at once in our unique grid mode, drag images between spreads and from external applications. No restrictions on creating different designs with overlapped images and you may also rotate image layers. Live preview of layouts, almost infinite combinations with gaps and design margins. They are plenty of album design softwares available, no doubt, and you are looking for the best and if possible it should not cost an arm and a leg. Here we are! Album XS is an album design software with a lot of features, the same than many of our competitors and some more than others. Album XS includes many predesigned layouts with gap and margin settings, more or less than others. 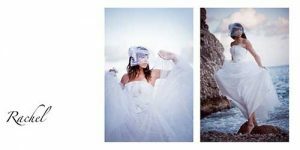 It is easy to use, fast and polyvalent: you may design a wedding album, a senior or glamour book, baptism or communion album or just an images collage; probably others can do the same. What’s the difference? A few important features like overlapping, free design, rotations, opacities, integrated editor, etc and … price, a ridiculously low price. How we do it? Easy: we have a poor, simple, almost inexistent marketing team; we don’t think on how to sell you the best album design software, we simply create it. 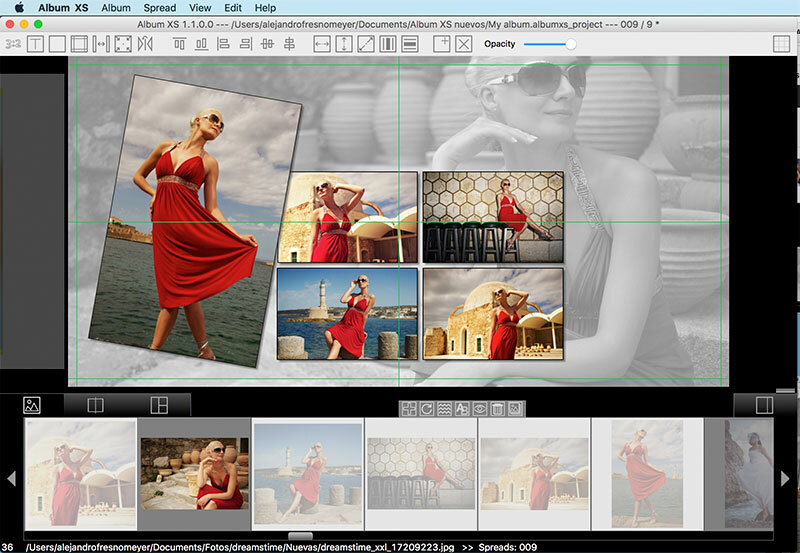 Album XS offers a lot of features and options for the demanding professional photographer. 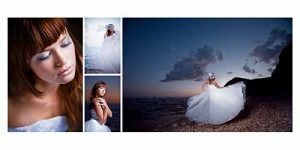 Designing a photography album shouldn’t waste your precious time, you will have full of control to create your unique wedding, senior, glamour or any other theme album; a pleasant experience using a fast, intuitive and powerfull album design software. You are not restricted to use the included layouts, they are great but may not reflect the exact spread you have in mind. 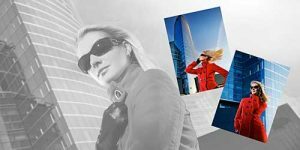 Album XS provides you with the tools necessary to create your very own designs, rotating images, overlapping, using images as backgrounds, variable opacity, frames, etc. A whole world of options without compromising your budget. But not restricting, you may create your own designs and even save them as templates. If you are looking for a complete album design software we have it, overlap, rotate, frame, set as background, opacities. Easy to use, create an album and drag some images to the spread, drag some more to the next. Done. Using our unique Grid mode to design all spreads at once or the autodesign feature you will get an album done in a few minutes if needed.